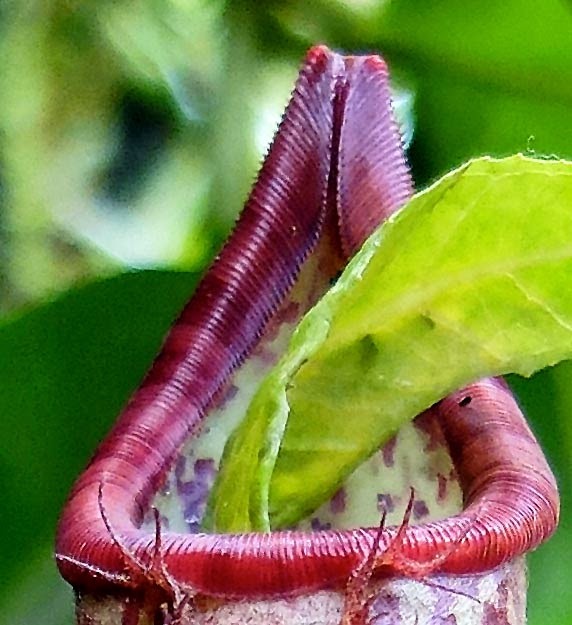 This plant is one of those carnivorous plants, it traps any insect that goes inside it! 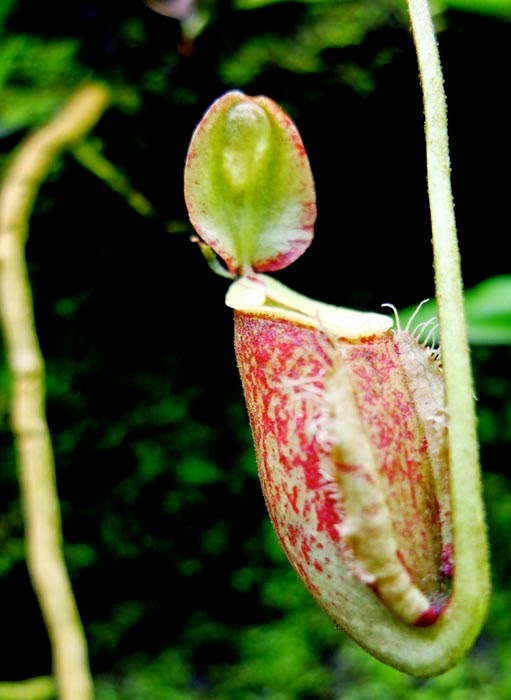 The inside walls of the pitcher plant are waxy and slippery so the insects are trapped. 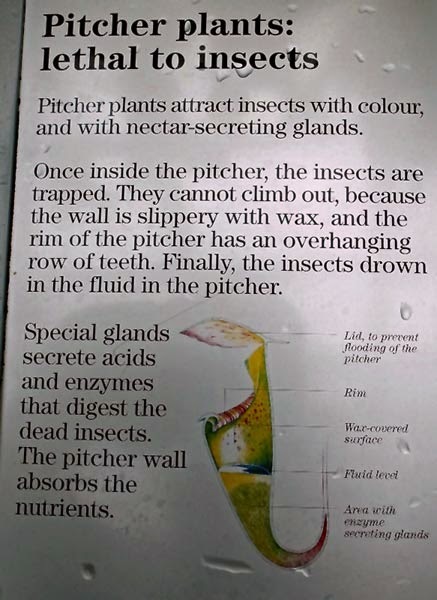 The rim of the pitcher actually has teeth. More information is given at the bottom of this post. 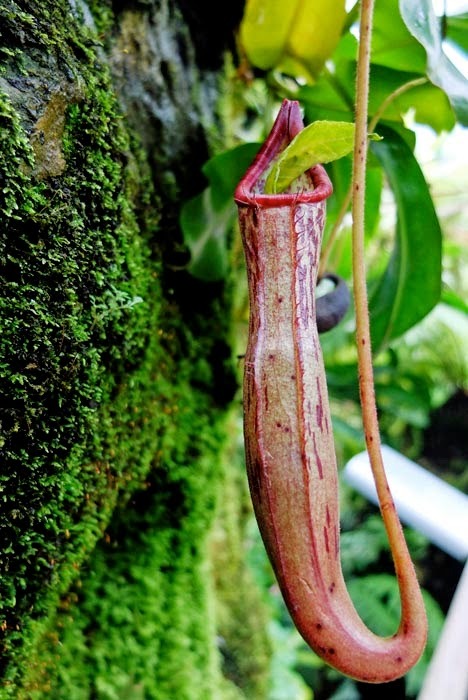 These pictures were taken in the Botanical Garden in Singapore. Rickshaw owners can be proud owners - decorating their rickshaws with pretty pictures or graphic art, most of it quite colourful. 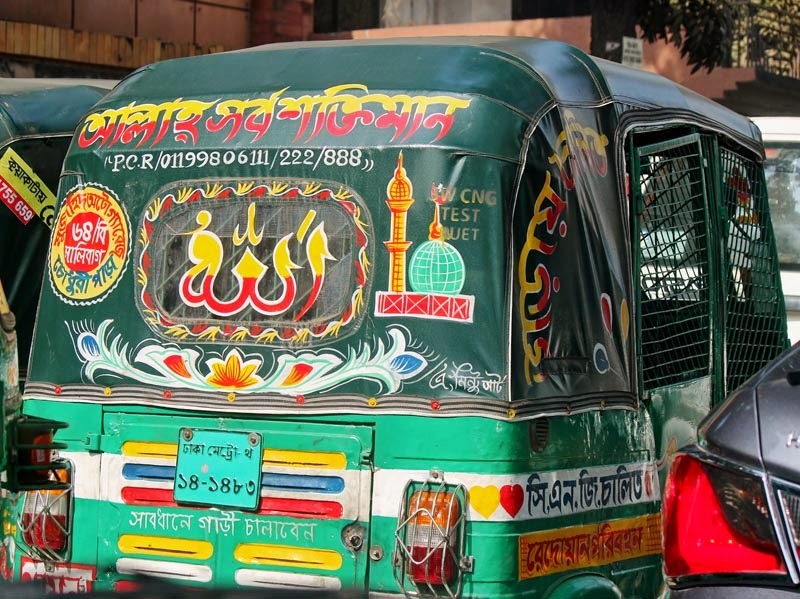 This sense of ownership and pride is more often seen on trucks, but here are a few rickshaws in the city of Dacca, in Bangladesh. 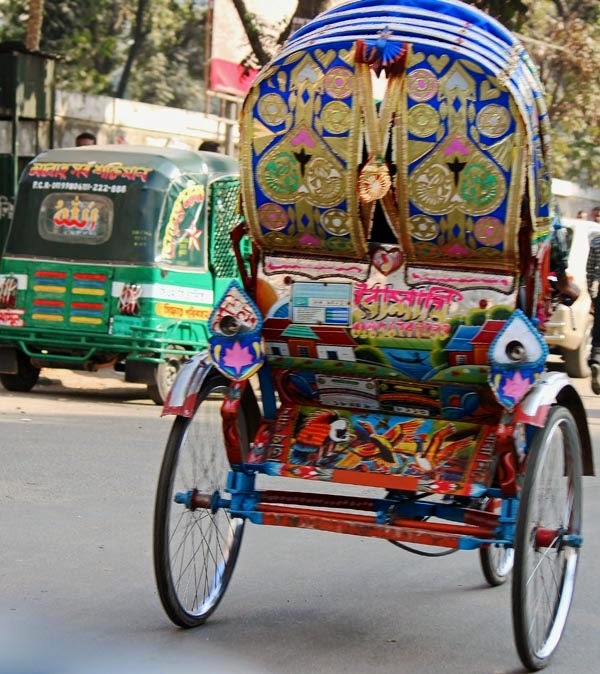 Here is a cycle rickshaw painted in the most exotic colors and designs. In Bangladesh. 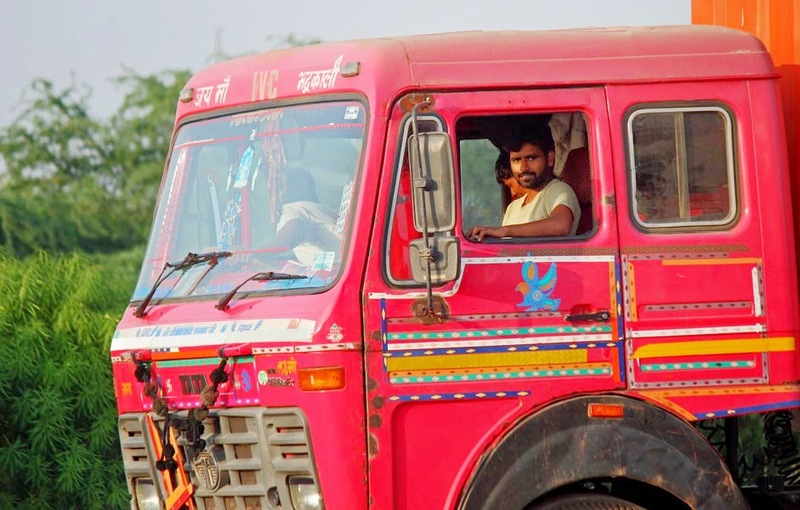 These are the kind of scenes - the truck drivers, the colourful trucks and the cleaners which are very typical of India. 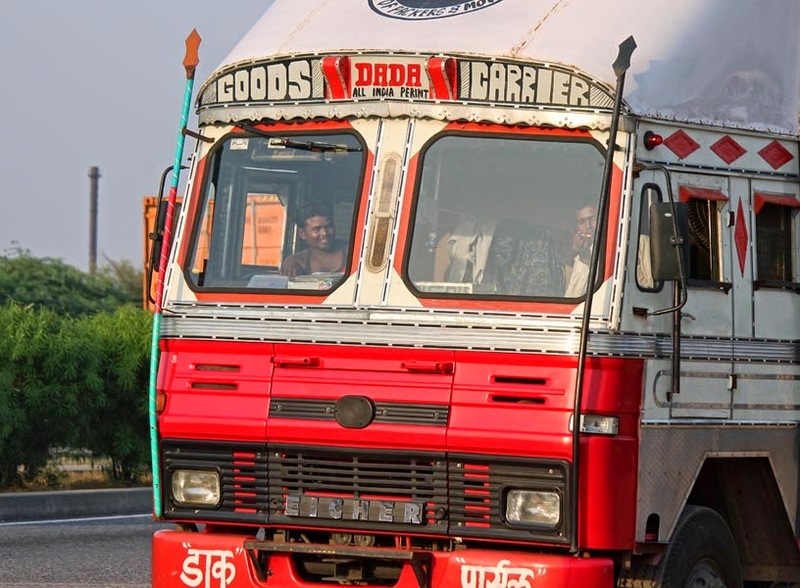 The cleaner is the truck drivers man friday and cleans the truck and also acts like his assistant in signalling overtaking vehicles or helping the driver park. 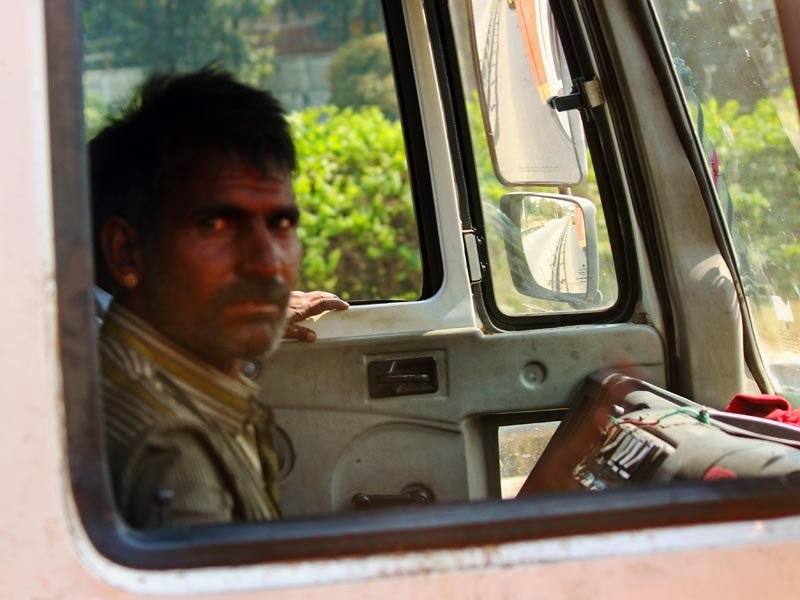 The truck cleaner here is lighting up a bidi (cigarette). 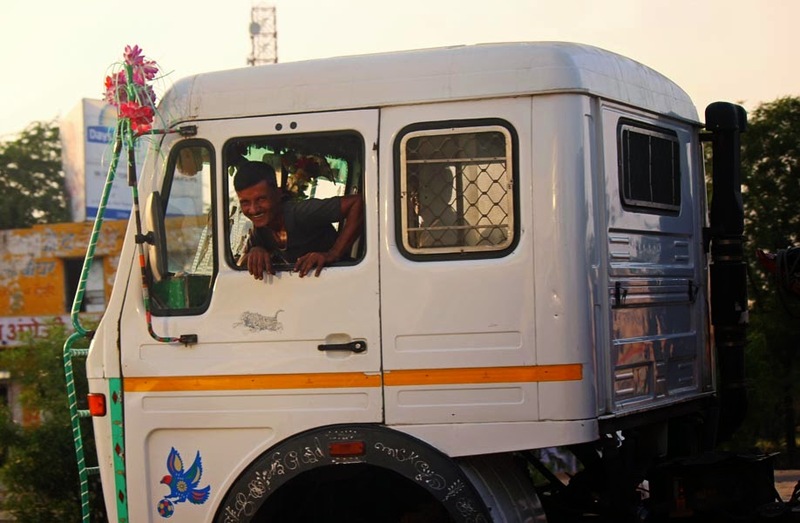 A smiling truck cleaner. Note the colorful painted truck. A bright pink front section! Even if the truck is white there are innovative ways to make it look fiesty and colorful. Pictures of film stars for example. 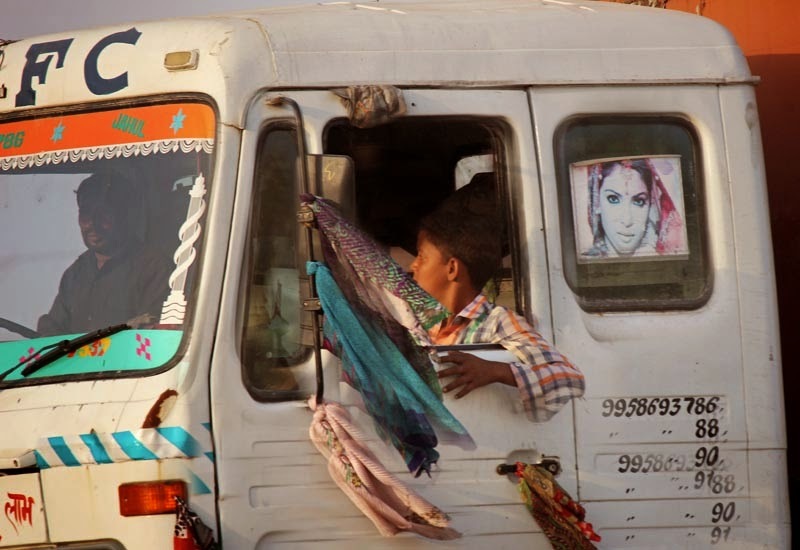 And colourful cloths tied to the truck also make it more visible. Here, a little boy is the cleaner of the truck. Accidents scenes - overturned and smashed vehicles photos or check all the pictures filed under the label Transport.